If you are like most people, you love to give treats to your dog or cat. And most pets love to get them! Treats can be used as a reward. They can be used for clicker training. Giving treats is one way to bond with your pets and show your love for them. But just like people, sometimes pets can overindulge. Many commercial treats are high in calories, sodium, or even sugar. And unfortunately, excess calories lead to excess pounds. Pet obesity is on the rise. Obesity can lead to type 2 diabetes, orthopedic disease, heart disease, and respiratory problems. There is some evidence that it may play a role in the development of some types of cancer. This does not mean that you have to stop giving your pet treats altogether. Moderation is the key. A good rule of thumb is to make treats no more than 10% of your pet's total daily caloric intake. So, for example, if your 5 pound Maltese dog should eat 200 calories a day, he should be getting no more than 20 calories a day in snacks, (180 calories from his main food and 20 calories from treats). Not only do excess treats add up calorie-wise, eating too many snacks can actually unbalance your pet's diet. It can be difficult to keep track of how many extra calories your pet is receiving in treats. This is especially true if you are not the only person in the household that enjoys handing out snacks. A treat jar may be just the answer! At the start of each day, simply count out your pet's "treat allowance" and place them in the jar. Once the treat jar is empty, your pet can receive no more until the next day. Giving low calorie treats means more treats for your pet. Some manufacturers will list the calorie content right on the packaging. Others will not. Most will include a telephone number to call with comments or questions. The number of calories per treat is basic information that the company should be able to tell you. Speaking of low calorie, how about using fruits and vegetables as treats! They are both healthy and low calorie! Green beans and carrots are a perfect choice. Most dogs love them. 1/2 cup of green beans is only 20 calories, and 1/2 cup of carrots is only 35 calories. Your kitty will probably enjoy a slice of cantaloupe as a snack. She can indulge in 1/8 cup of melon slices for less than 10 calories. Be sure to avoid foods that are harmful to your pet. Raisins and grapes can cause acute renal failure. Macadamia nuts can cause muscle weakness, depression, tremors, gastrointestinal upset and hyperthermia. Onions, onion powder, and garlic can cause Heinz body anemia. This can be fatal. Of course, chocolate, caffeine, and alcohol can all make your dog or cat very ill and in many cases can kill them. Commercial pet treats are a growing business. Pet food and treats are a multi-billion dollar industry. This is true even when the economy is struggling. Walk into any pet store, supermarket, or pet boutique. 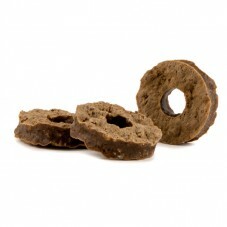 You will see an amazing array of tempting dog and cat treats to choose from. Along with the old standards, you'll find newer products labeled "all natural", "gluten-free", "organic", and "grain-free/low carb." They actually mirror the trends in the human food industry! 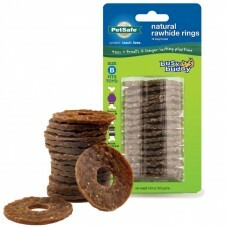 With so many choices, how do you know you are buying a good, healthy snack for your cat or dog? Of course, you also worry about safety. How do you know if the product is safe to give to your pet? You may recall that in 2007, many previously healthy dogs were being diagnosed with acute renal failure. More specifically, they were diagnosed with Fanconi Syndrome. This is a very uncommon form of renal disease. The U.S. Food and Drug Administration received thousands of complaints of dogs suddenly becoming ill. At least 1,000 dogs died. It soon became clear to investigators that there was a common denominator. All had eaten chicken jerky treats manufactured in China. Since then, the Food and Drug Administration has issued an alert that includes chicken jerky treats, duck jerky treats, and sweet potato jerky treats. Earlier this year, a major pet supply company announced that it has banned the sale of all products made in China from its stores and website. At least 1 competitor will follow their example within the next few months. Yes, you should read the label to find out where the product was manufactured. But that may not be enough. Manufacturers are not required to list the country of origin for the ingredients used to make the food. Until all such products are banned from entering the country, it is wise to use extreme caution if you decide to buy jerky treats for your pet. Pets of all sizes and species love treats. The act of giving or sharing food brings pleasure to both you and your pet. Choose healthy, low calorie treats for your dog or cat and they will show their gratitude for years to come!